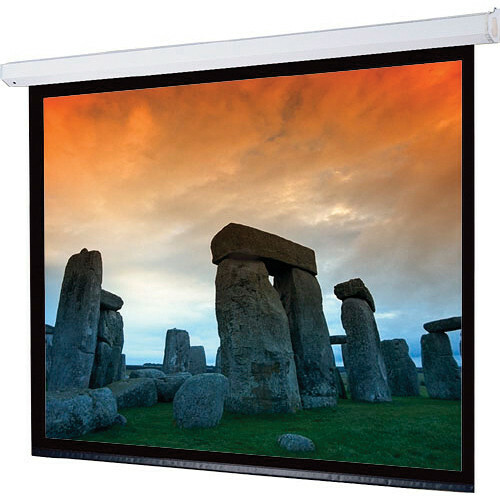 The Draper 72 x 96" Targa Motorized Front Projection Screen is ideal for auditoriums and lecture halls, hospitals, hotels, churches, boardrooms and conference rooms. The motor is mounted inside the roller on special vibration insulators, so operating noise is dramatically reduced. It has a trim, balanced appearance. The pentagonal steel case has a scratch-resistant white polyester finish, with matching end caps. Screen operates instantly at the touch of a button, and stops automatically in the "up" and "down" positions. Overall Size 72 x 96"
Box Dimensions (LxWxH) 114.0 x 11.0 x 11.0"